Ainslie School is a preschool to year 6 school established in 1927. The school's buildings were upgraded in 2007 and are on the ACT and Australian heritage registers. Two off site preschools, each with a strong arts and sustainability focus, are also part of the school. 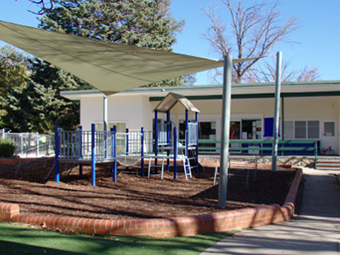 The preschools operate in newly renovated buildings with established gardens and outdoor play areas. 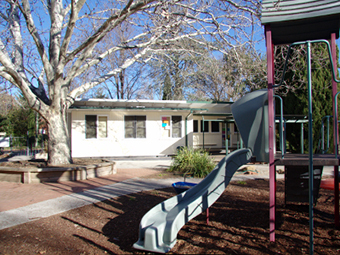 Both Reid Preschool (Dirrawan Gardens site) and Ainslie Preschool (Baker Gardens site) have been assessed and rated using ACECQA's National Quality Standard during 2013. Each site is currently rated as 'Exceeding the National Quality Standard'. As an inner city school, our student population is rich and diverse. Over 25 percent of our students come from culturally and linguistically diverse backgrounds. Our teachers design and lead inclusive classrooms where children are challenged academically, cared for in a positive and supportive manner and are encouraged to participate actively in the many rich and diverse opportunities available. Children should enjoy school; spending time with their friends, developing respectful relationships with adults and experiencing the delights of education and the opportunities available to them at Ainslie School. We are committed to respecting every child's uniqueness and catering for individual needs. We challenge each child and give them the time they require to attain their potential in educational, social and physical skills through personalised learning. In 2014, Ainslie developed a Response to Intervention (RtI) model across the school to provide early, systematic assistance to children. This model seeks to improve student outcomes through early intervention, frequent progress measurement and increasingly intensive research based instructional interventions that are adjusted and modified as needed. Using a strong Professional Learning Community culture, teachers maintain a focus on learning, work in collaborative teams and use learning data to ensure the effectiveness of the teaching and intervention programs. Learning for both students and staff is important. We take pride in our strong academic tradition and provide quality professional learning opportunities for our staff. The Japanese language program is enriched by the school's hosting of a Japanese teacher's assistant and by its relationships with a sister school 'Tsubai Elementary School' in Nara, Japan. We also have a sister school relationship with Ban Hom Neua School in Vientiane, Laos. The school has a very dynamic parent community that supports the school in many ways. The school is well known for its caring and family oriented community. Parents are actively encouraged to become involved by supporting the school's programs and activities. Both the out of school hours program, which caters for up to 120 students a day, and the Nutrition Australia Award winning canteen, Oishii Canteen, are run by the P&C Association. Outside organisations are also involved in the school like Bellchambers Music (offering piano tutorage) and Music for Everyone (offering a strings music tutoring program).